A Sony Smart TV comes packed with great apps and there is a massive variety of channels for you to enjoy. However, there are geographical limitations that do not allow you to make the most out of your Smart TV. This is a pity, as there are many things for you to watch and your current location does not enable you to do so. What you need to do, therefore, is to come up with the best solution that helps you change Sony’s smart TV region and achieve what you want here. Fortunately, there are two different methods that can offer you what you are entitled to and these methods will be displayed below! If you are wondering how you can unblock US or UK channels everywhere in the world, despite your current location, the concept is quite simple. You just have to prove that you are located in the US or the UK and not outside of it. Well, even if this might sound impossible at first, you will be able to do that by changing your IP. There are a number of ways available today that can enable you to change your IP, including free proxies, Tor, browser extensions, SmartDNS and VPN. But SmarDNS and VPN are most suitable of them all – when you take the setup, speed and ease of use into an account. So, we’re going to talk about SmartDNS and VPN way here. Whether you are going to use a VPN or a SmartDNS service provider, the result will be equally reliable and you will get the chance to enjoy the channels of your preference. The SmartDNS option allows you to unblock a wide list of channels globally, making you appear like you are located in your desired place. One great example of a reliable SmartDNS service is StrongDNS from StrongVPN. Once you have set up the SmartDNS, you can follow our instructions provided below on how to refresh your connection to the web and get the channels you have been searching for. With the SmartDNS, you do not get any encryption – however, it is fast and easy to use, super affordable and there is no need for technical knowledge on your behalf. Your SmartDNS provider will be able to give you all the information to setup it, in a flash. The VPN works like an intermediary between your computer and the Internet. You encrypt all your traffic and you choose a remote VPN server to connect to. As a result, you benefit from a brand new IP address and thus you do not need to worry about channels and sites’ GEO-IP restrictions. When you register with VPN of your choice, the directions to setup VPN on your device will be sent over to you immediately – those are very easy to follow and only take about 2 to 5 minutes and user is ready to go! One thing worth mentioning here is, both VPNs and SmartDNS services are compatible with all of the devices and will offer you custom-guidelines for making them work with Smart TVs and other tech gadgets like Xbox etc. Mean, in regards to the case here, they are developed in such a way to work well with Sony Smart TV. This actually is the reason why we ignored all other IP changing methods in this particular article, why not just talk about the things that are worth it? Agree? We hope so. So, how are you going to change the region on your Sony Smart TV? What you need to do is press the Home button and then head to the Settings and Network. From there, you can refresh the Internet Connection. Based on what you have accomplished with either one of the methods mentioned above (the VPN or the SmartDNS), you will be displayed your new set of channels. As soon as you have connected to a US-based server, you can open your Sony Smart TV and refresh your connection. This is it! 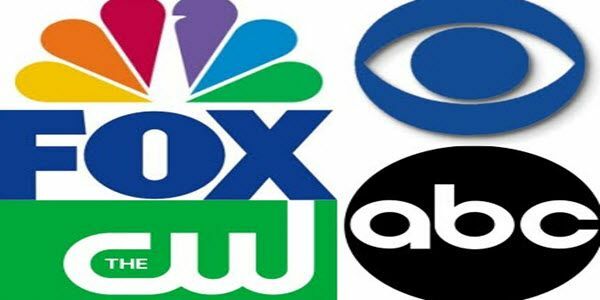 You will be offered all the US channels that would otherwise be out of reach! It may not be as easy as the SmartDNS, but it offers protection and privacy via encryption. No matter what you have chosen, you will be able to watch US or UK Netflix on your smart TV as well as Amazon Instant Video, Vudu, Hulu, HBO Go, BBC iPlayer, iTV and 4OD. Just follow our instructions and you will be able to enjoy great stuff on your Sony Smart TV, unblocking all the channels that you couldn’t in the past! Many thanks Waqas, we put a lot of work into the site – your appreciation means a lot.